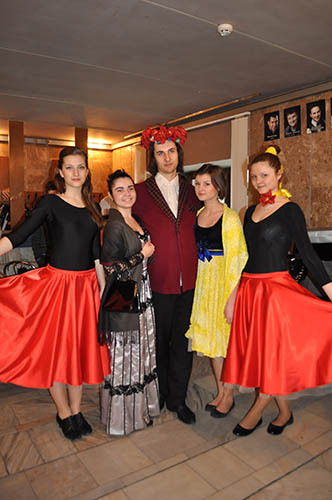 Theatre is an art of life reflection, and lyceum Melpomene (Lyudmila Vasylenko and Svetlana Lehina, leaders and directors) is a stage of dreams, hopes, and artistic achievements. Theatrical studio helps to master the art of self-expression and self-creation. The studio spectrum of activities is absolutely vast: from director’s accompaniment of traditional lyceum holidays, artistic competitions of different levels to full-staged theatrical performances. 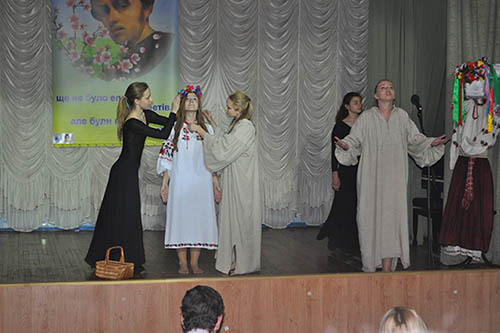 The experience and generous talents were presented to lyceum by people’s artists of Ukraine Bohdan Benyuk, Anatoliy Khostikoyev, Vasyl Mazur and Valeriy Lehin (honoured artists of Ukraine), Rayisa Nedashkivska. 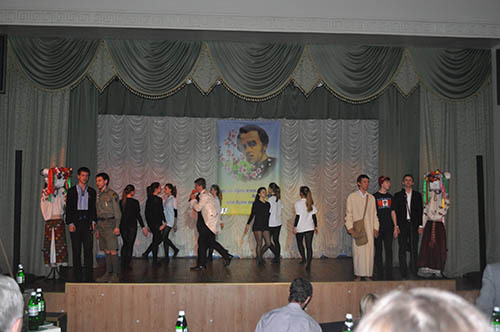 Among honorary awards of the studio are the grand prix of “Kryshtalevyi Kashtan” (Crystal Chestnut) contest for the mystery play “Velykyi L’okh” (The Great Cellar) (2007), the performance “Les 37 sous” by E.Labiche (2008), “Misanthrope” by Eugene Labiche (2011); also our performance “Fantasies on the theme” by G.Miller got the nomination “for the best expression of the problems of youth” (2009) and the performance “A Slap in the Farce” by Eugene Labiche (2010) got the first prize.